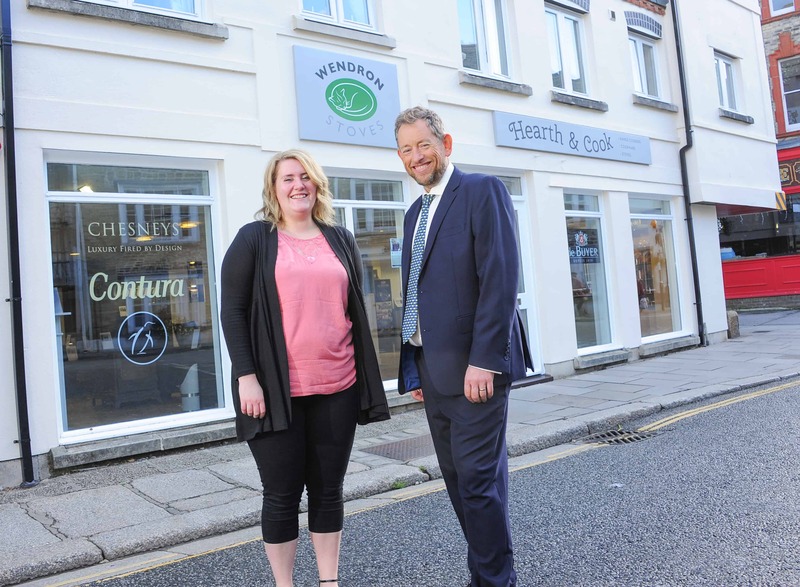 Truro’s heart is set to be that little bit warmer this autumn as family-run Wendron Stoves nestles into its first high street store. Situated in Quay Street, the premises marks a new era for the firm, which celebrated its 35th anniversary this year. The decision was an easy decision for Wendron Stoves’ founder, Nathan Ward, and sales director, Gary Hawkins. Gary Hawkins said: “Truro has always been the number one choice for Wendron Stoves for so many reasons. It is a bustling and vibrant city that offers so many aspirational and inspiring brands. “The new store not only gives our customers an increased accessibility to our products and services, but also represents a huge investment and new chapter in our life as a ‘high-street’ store. “As a local firm we know how important it is to support our city centres, so investing in Truro, its people and the future was the logical next step for us. “It also means that customers in mid Cornwall will be able to access our range of products more easily. The new retail offering takes over from the AGA Shop, which sits alongside the Old Ale House on the corner of Lemon Quay. On display will be working range cookers alongside cookware, as well as the stove and fireplaces that Wendron Stoves has become well known for over the last three and half decades. New shop manager, Ashley Ward, said: “We’ve brought our attention to detail and expertise with us. “We hope that being in the city will mean that customers will be able to take advance of our wealth of experience, the chance to see products in action and ask for advice.